It’s time to make the 68-year-old Northlake retaining wall safer & what it means for parking. Aerial view of the project area. The Northlake Way retaining wall is located just west of Stone Way, along the north side of Lake Union. It was originally constructed in 1951 and built with creosote timber piles and concrete anchors. During our routine structural analysis and safety assessment of the retaining wall, our engineers identified that the timber piles attached to the anchors have deteriorated and is putting the retaining wall at risk from being overloaded. Our priority is to keep the public safe, so we’re taking some important steps to reduce the load on the wall and prevent further deterioration. Elevation view of the Northlake retaining wall (looking northwest): Red arrow shows the poor pile condition at the anchor attachment. What’s next & what it means for parking. To prevent the retaining wall from potentially becoming overloaded and unsafe, we will be temporarily restricting parking adjacent to the retaining wall, impacting 42 parking spaces. Throughout the month of June, we’ll install fencing, signs, street markings, and curb stops. Rather than eliminating all current parking, we’ll leave room for approximately 14 parallel spaces. We expect to have work completed by the July 4 holiday. ✔ Throughout the process, we’ll continue studying and inspecting the wall to determine whether to replace it or make structural repairs. 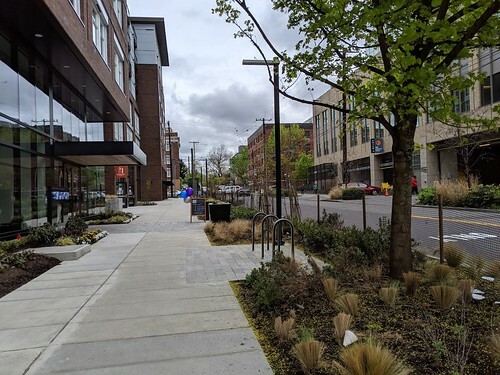 ✔ We’re working with nearby tenants and building owners to provide additional information and to collect data about how the parking spots are used to help us plan for future work while minimizing the impact on businesses, customers, boat owners, and nearby residents. ✔ We’ll keep working to make sure everyone has accurate and up-to-date information as we move forward with this important safety project. 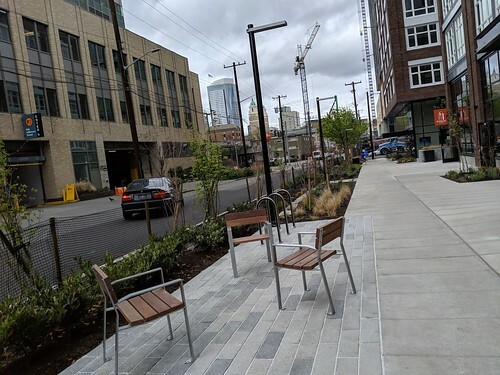 While Seattle is considered one of the safest cities in the country, we can always do better, especially as SDOT moves forward on much-needed pavement projects. 35th Ave NE is an arterial serving Northeast Seattle and approximately 12,500 drivers on an average day, connecting the Ravenna-Bryant and Wedgwood neighborhoods. It’s also a transit route with service connecting northeast Seattle to the U District, Link light rail, and downtown Seattle, and designated for a protected bike lane in the Seattle Bicycle Master Plan. Traffic data shows the need for safety improvements along the corridor. Vehicle speeds of 31 MPH (85th percentile for speed), and 113 collisions occurred in 5 years. 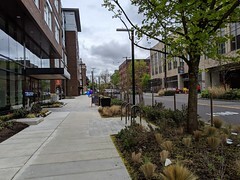 Similar safety improvements on NE 75th St, implemented in 2013, show a 45-percent reduction in crashes and zero collisions involving pedestrians. In addition, the number of drivers exceeding the speed limit by 10-MPH or more declined by 80 percent. With this need for safety improvements, since the summer of 2016, we has shared street design concepts with the community. Through community feedback, we heard that people would like to take transit, walk, and bike and there was strong support to improve safety. 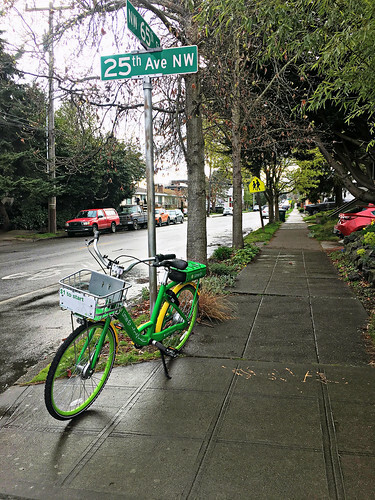 By early summer 2018, 35th Ave NE will get a makeover between NE 89th St and NE 47th St that includes pedestrian, bike, and transit improvements, which will greatly enhance safety and balance multiple uses in the current limited roadway. 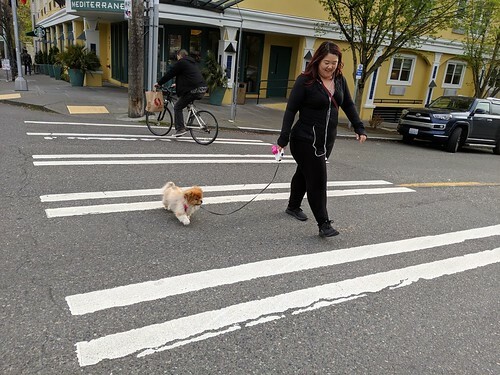 A protected bike lane will help make biking a better option for people of all ages and abilities in northeast Seattle and contribute to establishing a citywide bike network. 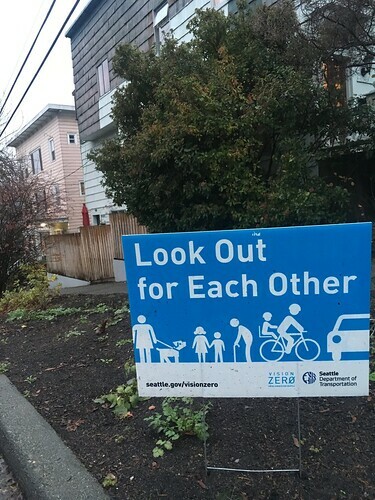 Bike lanes enhance the street for everyone, not just people who choose to ride bikes, by providing a safe and predictable space for biking. We’re adding left-turn pockets for northbound and southbound traffic on 35th Ave NE at NE 75th St and NE 85th St. While parking will be consolidated to the east side of the street, peak-hour restrictions (between 4 – 6 PM) will be removed to make parking more predictable for residents and visitors. Two-hour parking limits will be added to the south side of NE 68thSt to create more options for library parking. We’re working with King County Metro to consolidate stops to improve speed and reliability, particularly on Route 65. 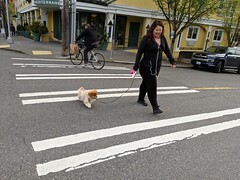 We’re adding a rapid flash beacon at the existing NE 80th crosswalk and upgrading the crosswalk beacons at NE 68th St. In select locations, we’re upgrading curb ramps to meet Americans with Disabilities Act (ADA) standards and repairing sidewalks. 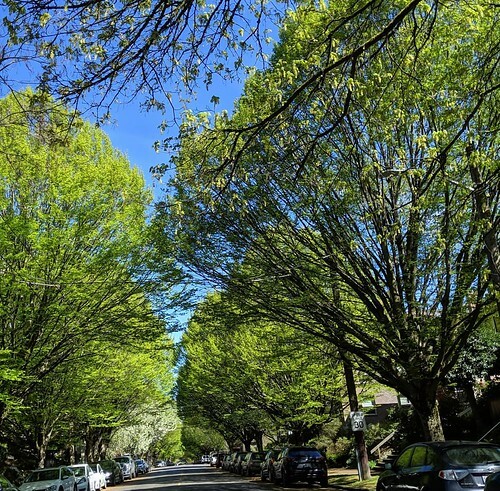 We’re confident these improvements along 35th Ave NE will greatly increase the safety of all who travel the corridor while delivering essential services that all Seattle residents and taxpayers deserve. Check out our Current Paving Projects for more information about these and other current paving projects. Driving while texting is as dangerous as drunk driving. Yeah. Read that one more time: driving while texting is as dangerous as drunk driving. So, it’s no wonder that in these days of cell phone-philia (ahem, Merriam-Webster, 2018 word of the year? ), fatalities from distracted driving are rising sharply. In Washington state, they increased 32% between 2014 and 2015. In Seattle, distracted driving was a contributing factor in 187% more crashes in 2016 than it was in 2011. Law enforcement can hit you with an E-DUI, short for Driving Under the Influence of Electronics if you’re pulled over for driving while using your phone. The ticket is $136, and increases by nearly $100, to $234 on a second offense. You’ve probably heard about this law – it passed back in July 2017 and prohibits using hand-held devices like cell phones, tablets, laptops, and games while driving or while stopped at a light. And the violations are reported to your insurance company. Since July 2017, the Washington State Patrol has been honoring a six-month grace period, issuing 7,000 warnings during that time to educate people about the new change. Now warnings are a thing of the past. Tickets are the new warning – and for good reason. Sending or reading a text takes your eyes off the road for five seconds; at 55 mph, that’s like driving the length of an entire football field. With your eyes closed. If we’re going to reach our Vision Zero goal of ending traffic deaths and serious injuries by 2030, we’re going to need to tackle the issue of distracted driving and we’re going to need each and every one of you to help. Keep your phone out of reach while driving. Here are some of our fave ways. If your phone has a “Do Not Disturb” while driving setting, enable it – iPhones and some other phones offer the feature. With your help, we can reduce distracted driving incidents and get closer to Vision Zero. Weigh in on Metro Bus Hubs thru 1/31! 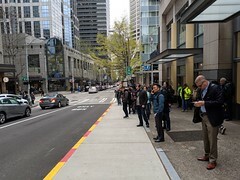 We’re working with King County Metro to create new off-street layover facilities, called bus hubs, for buses to use while getting ready for their next trips. Why do we need Bus Hubs? Supports expansion of bus service to new neighborhoods. Free street space for other uses by moving “out of service buses” into off-street hubs. 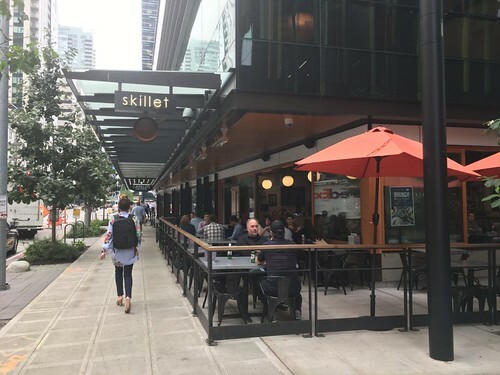 The City is amending the Land Use Code to allow for bus hubs in downtown Seattle and Metro’s first site will be located in Eastlake. We’re seeking input through an online open house through Wed, Jan 31. Transit riders loading the 45 bus in Greenwood. 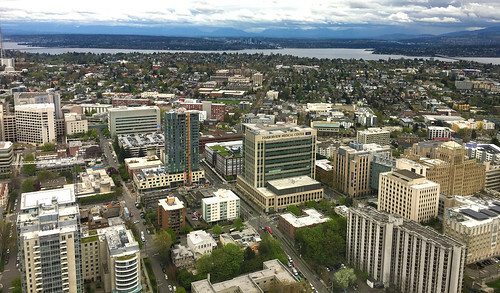 You may have heard, we’re the fastest growing big city in the US – complete with associated growing pains – but good news! We’re also the only major US city to increase transit ridership (from 2016). Since there’s no room to build more roads, we’ve done something else: prioritized our near- and long-term efforts to move more people, more efficiently. 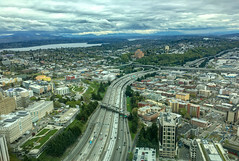 Together with our partners King County Metro we’re making changes, big and small, prioritizing transit to help improve the system, adding up to some big results. Third Ave. dedicated to buses and riders. In 2015, funded the equivalent of 61 buses, running 12 a day, 365 a year, to Metro’s network. In 2016, funded 50 new weekly trips (3,500 annual service hours). In 2017, funded 700 new weekly trips (35,000 annual service hours). C Line: West Seattle to South Lake Union. D Line: between Ballard and Pioneer Square. COMING SOON: G Line (Downtown Seattle to First Hill and Madison Valley) and H Line (Downtown Seattle to Delridge and Burien) in partnership with King County Metro. Red bus-only lane on Spring St. 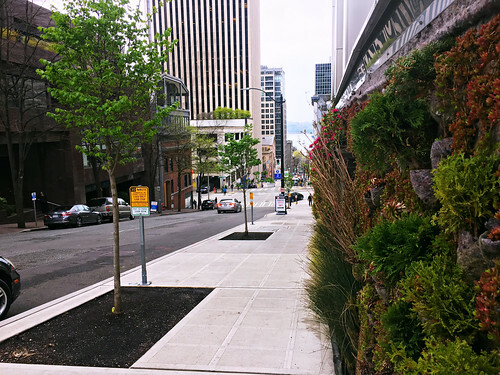 Since 2008, we improved the safety and efficiency of city transit through street and sidewalk improvements, funded by the voter approved Levy to Move Seattle and the Bridging the Gap Levy before it, and King County Metro. Bus only lanes and BAT (Business Access and Transit) lanes (Blanchard, Aurora Ave N, N Midvale Pl, NE Pacific St). Dedicated transit lanes shared with Seattle streetcar (Westlake Ave N). Transit islands on priority corridors (Dexter, Roosevelt). 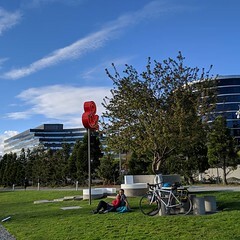 Dedicated Transit Signals (Olive Way). The result = more people taking transit. 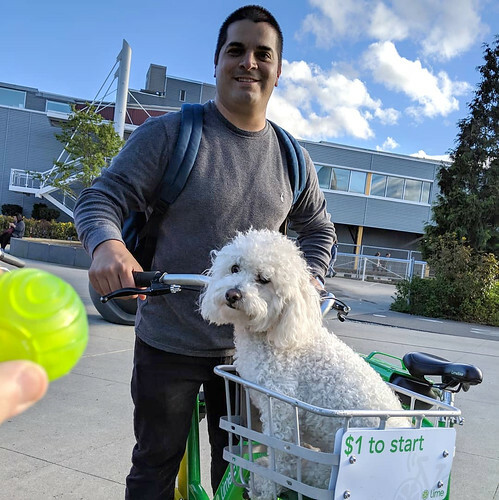 From 2000 to 2016, we saw big changes in travel to downtown Seattle – modes like transit, walking, biking, and rideshare jumped from 50% to 70% of trips. Most of this growth is thanks to transit, which increased from 29% to 47% of trips. But that’s not all. During this same time, drive-alone trips decreased from 50% to 30%. Now that’s success! How transit is rolling now. Bus routes in Seattle and Link light rail carried 304,000 weekday riders, up 15% over June 2015. Ridership on Regional Partnership routes (those routes with service funded in partnership between Seattle and another jurisdiction thanks for STBD) increased 12%, adding more than 5,000 weekday riders. The City of Seattle funded approximately 56% more service hours on the RapidRide C and D Lines and has seen a 40% and 28% ridership increase, respectively. The RapidRide E Line gained 13% more weekday rides while the City funded 11% more service. Seattle has funded nearly 300,000 annual hours of bus service, improving weekday all-day service to 10-minutes or better (noted in % of households in graphic below). Ridership improved 17%, more than 14,000 more weekday riders. 64% of households are within a 10-minute walk of 10-minute all-day transit service, up from 25% just two years earlier. 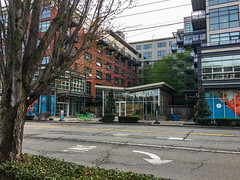 Since 2010, 86% of new housing units are served by the 10-minute network. Encouraging people to take transit. Our Youth ORCA Program distributes ORCA cards to high school and middle school students enrolled in Seattle Public Schools whose households are income-eligible. For the 2016-17 school year, the Youth ORCA Program distributed cards to 2,538 high school students and 142 middle school students, for a total of 2,680 cards. The ORCA LIFT Program provides up to a 50% discount on fares for income-qualified riders. 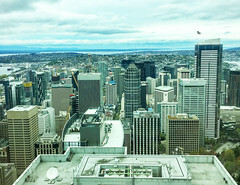 28,816 Seattle residents (19% of eligible residents) enrolled in the ORCA LIFT program – up 11%. Seattle residents account for 59% of King County’s 49,058 ORCA LIFT registrations, and Seattle’s share continues to increase at a faster rate than the rest of King County. While the we don’t run the buses or light rail trains, we do invest directly in transit service and work closely with King County Metro, Sound Transit, and other transit providers on major service and infrastructure changes within the city limits. We also enhance transit by updating the Transit Master Plan, owning the Seattle Streetcar lines and making transit corridor improvements funded by the Levy to Move Seattle. We may not be a traditional transit agency, but we embrace the transit system as if we were, and the results are clear. Who’s Ready for Winter Walks? Many of us rely on our most basic form of transportation: WALKING. It’s a classic mode! We want to make sure you have a fun and safe winter season. No matter what time of the year it is, our downloadable walking maps are always available to help you plan your best route. Freezing temps might affect your normal route, but you can always help your fellow walkers by putting down salt or de-icer products on your neighborhood sidewalks. As part of our Winter Storm Preparation (which we want you to click on and actually check out! You should really – seriously, really click on it. )😉 being a good neighbor can make all the difference for all travelers! And if Seattle doesn’t get enough snow for your taste, just head out to the mountains for these winter wonderland hikes. Layer up. Wear gloves, a hat, and scarf. Did you know that cotton absorbs water? When cotton gets wet it stays wet and will no longer keep you insulated. Stay dry with a waterproof layer! 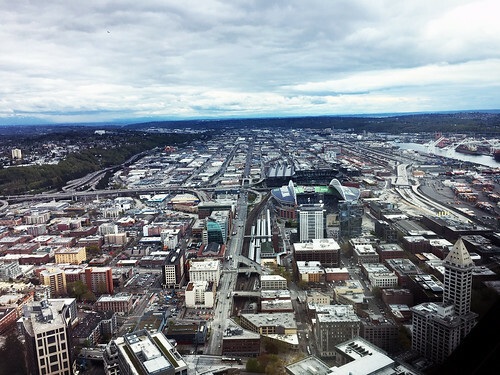 Sign up for Alert Seattle, a free service provided by the City of Seattle, used to alert the public during severe weather, safety, health, utility disruptions, major traffic incidents, and more. Click here to learn more. Choose a good pair of winter boots. Avoid a smooth sole and go for a heavier tread. Keep a lookout for ice. Black ice can often appear in the morning or in shaded areas. Walk slower and hold on to handrails. Keep a lookout for each other. Be alert, be seen, and make eye contact with others around you. Accessorize! Just like other modes of transportation, reflectors, and safety lights can come in handy especially when walking in the dark. Communicate if you’re going out for a brisk stroll, let someone know where you’ll be. If you have a mobile phone, keep it charged and take an extra charger with you. Protect your pup’s paws. Just like humans, our pet’s paws can dry and crack from the cold weather. Apply pet-friendly moisturizer (petroleum jelly or pet paw waxes). Sometimes, it might be necessary for boots! Bring a towel on your walks. Get them a coat! Say what? Yup. Our pooches get cold too! 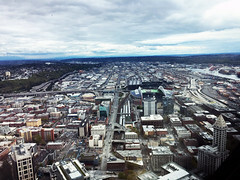 See the Seattle Humane Society’s blog for their full list of tips. Here’re some winter weather resources for you! Have you ever seen a bike rider who can balance at a red light without putting a foot down? Well, you don’t have to worry that you’re not that cool – just use a bike lean rail! City Engineer Dongho Chang shows us how it’s done (even without his bike). 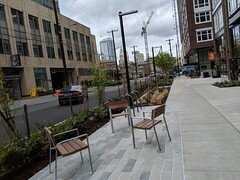 Seattle is one of the first cities in the US (along with Chicago) to give bicyclists resting spots using bike lean rails. We have them all along 2nd Avenue for our new protected bike lane as part of the 2nd Ave Mobility Project. We installed our first set of bike lean rails back in 2015 on the Burke-Gilman Trail at NE Blakeley St. At this spot, the rails are set slightly back from the intersection where they help cut down on the “crowding at the front” of the trail by bicyclists waiting to go after pedestrians cross. The rails work well at this popular biking location. 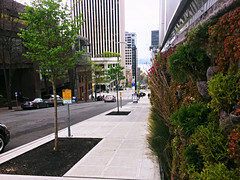 The planters and rails on we use on 2nd Avenue are made by DezignLine from Minneapolis. For now, we are testing out these fairly new bike lean rails to see how they do – you might see more of them soon!